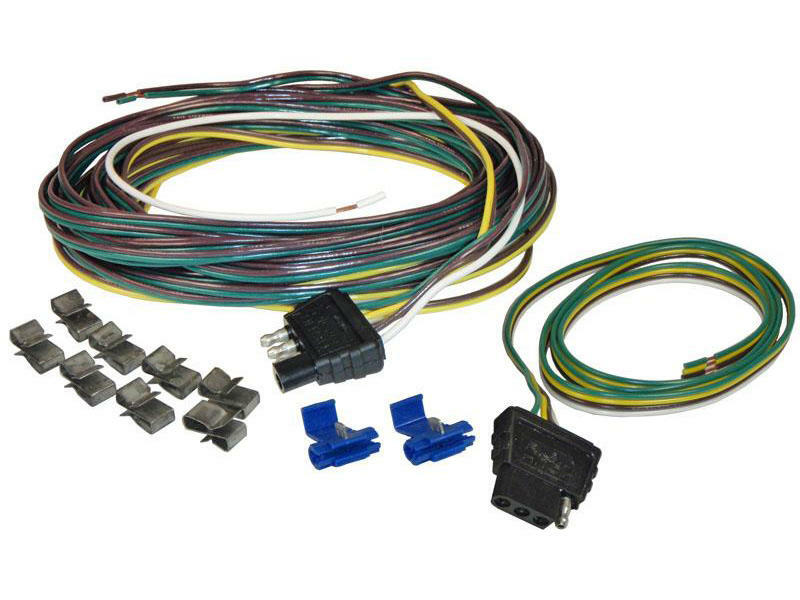 Rigid 7103 Trailer Wiring Kit - 25 ft.
Trailer Wiring Kit - 25 ft.
25 foot 4-flat trailer wiring harness made of 16-gauge wire, designed to split at the trailer tongue and run down each side of the trailer. Wire taps, frame clips and a 48 inch car end 4-flat harness are also included. Trailer wiring harness has an 18 inch ground wire.